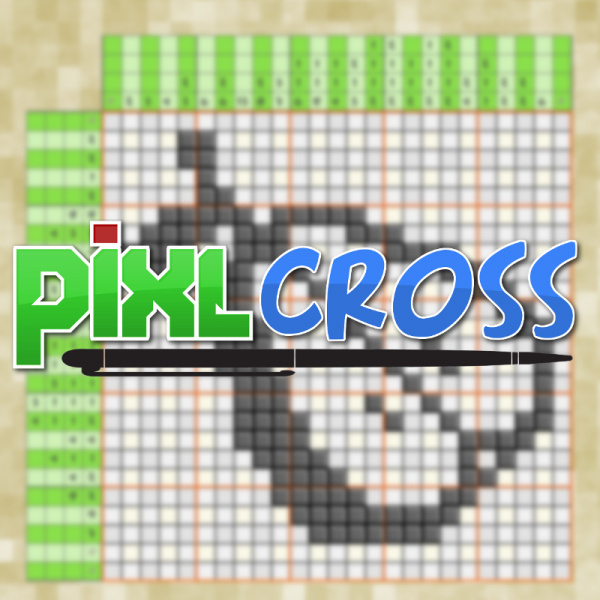 PixlCross is a nonogram-style puzzle game (i.e. 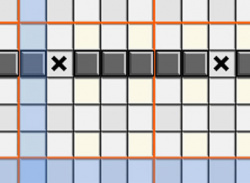 Picross) where you use hints to fill in a grid and reveal a hidden picture. 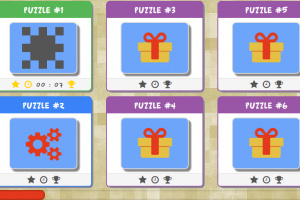 Containing more than 150 puzzles across four levels of difficulty, players will start by solving puzzles on simple 5x5 grids, eventually taking on the challenging final puzzles on massive 35x35 grids! 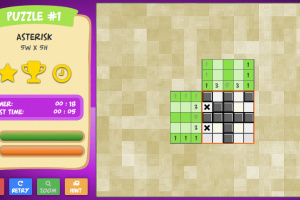 Each puzzle, no matter how large, can be solved without guessing – a common frustration for fans of the pen-and-paper puzzles. 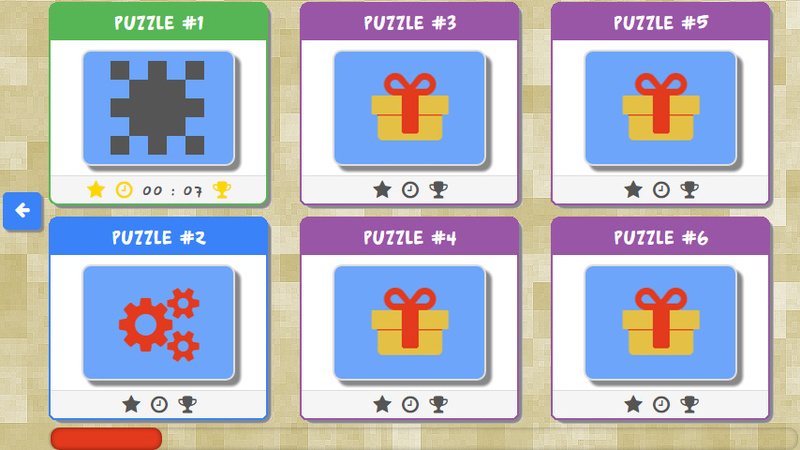 Though the game's puzzles may be large, players needn't worry; they won't have to solve them all in one go. After each move, PixlCross' auto-save feature records every move, letting players start as many puzzles as they'd like! Players can jump back in whenever they're ready. 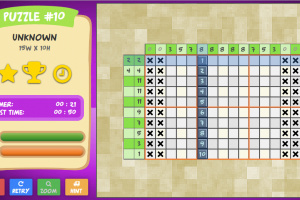 The built in hint system is also available to help players overcome any impediment, making the game as easy or hard as the player wants. 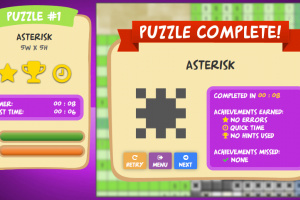 Whether using the GamePad on the Wii U or the mouse on the PC, it's spectacularly simple and intuitive to interact with PixlCross. 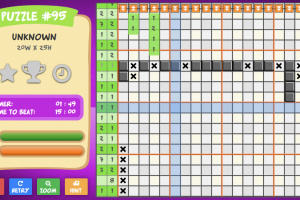 Simply slide along the grid to fill in or cross out grid boxes. 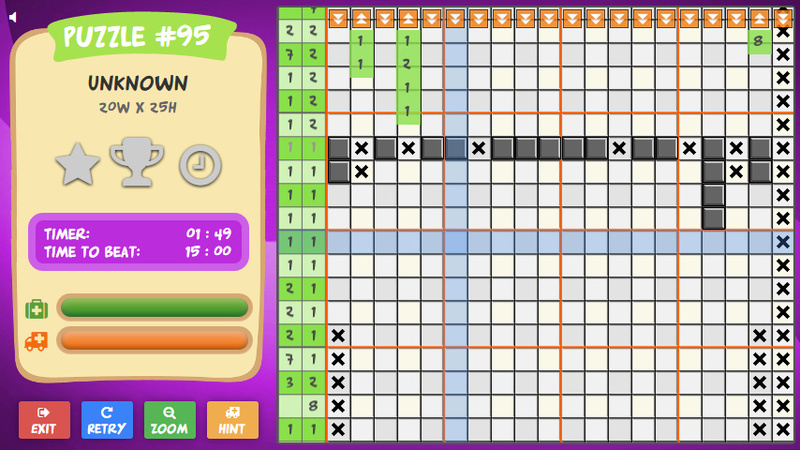 Boxes count as you fill, pop-out hints eliminate unnecessary scrolling, and the auto-scroll feature makes it even easier to tackle even the toughest challenges! 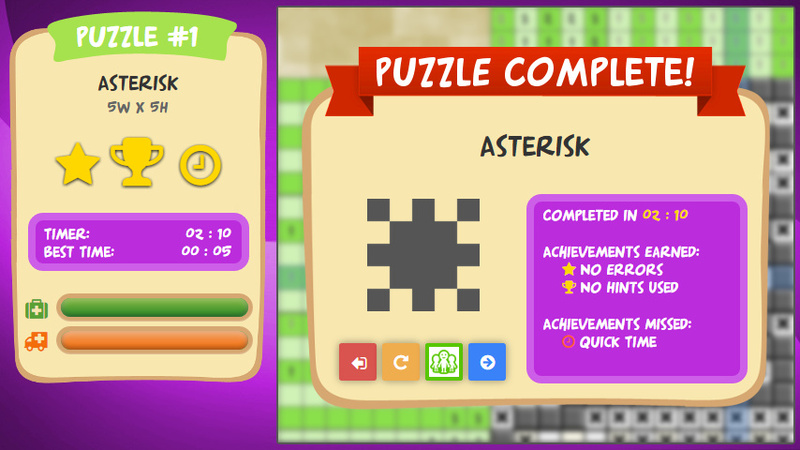 Whenever players want a break from solving puzzles, they can hop over to the Puzzle Editor and begin creating puzzles of their own! The robust editing tool is the same that was used to make the game, allowing players to create puzzles of the same caliber as the ones available from PixlBit Studios. 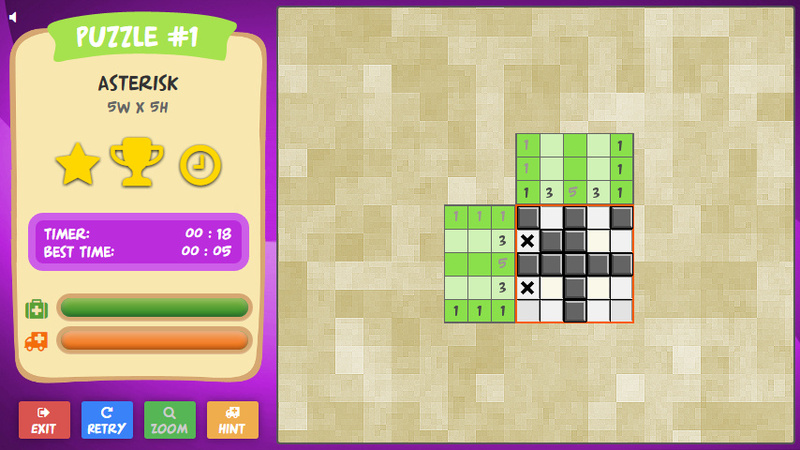 Furthermore, players can leverage the solver to see if their puzzle can be completed without guessing. Players can connect with the PixlCross community by sharing their creations or downloading puzzles from other creators for a never-ending PixlCross experience. Wow !! 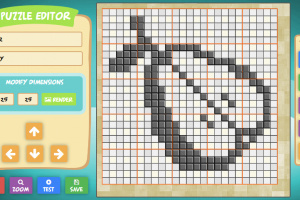 A Picross creator and to share with others just like Mario Maker levels !! 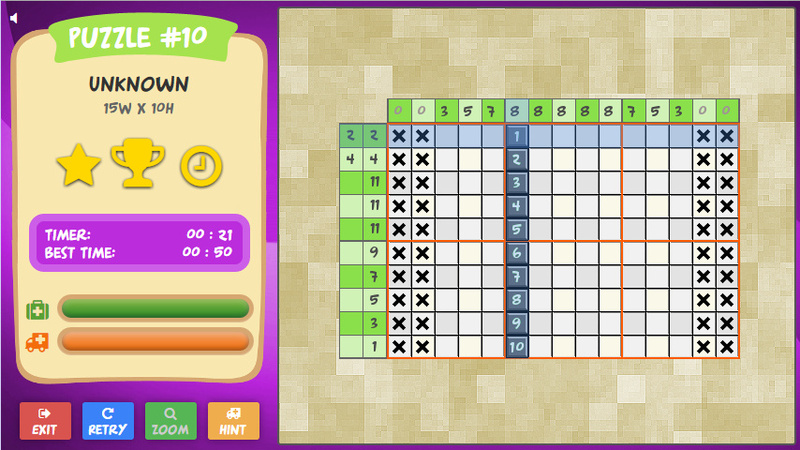 That's the true "Picross Maker" xD When it comes to Europe's e - Shop I'll buy it on the release date 100% for sure !! Please Nintendo, bring this awesome game to Europe very soon too !! Ya this game is solid. 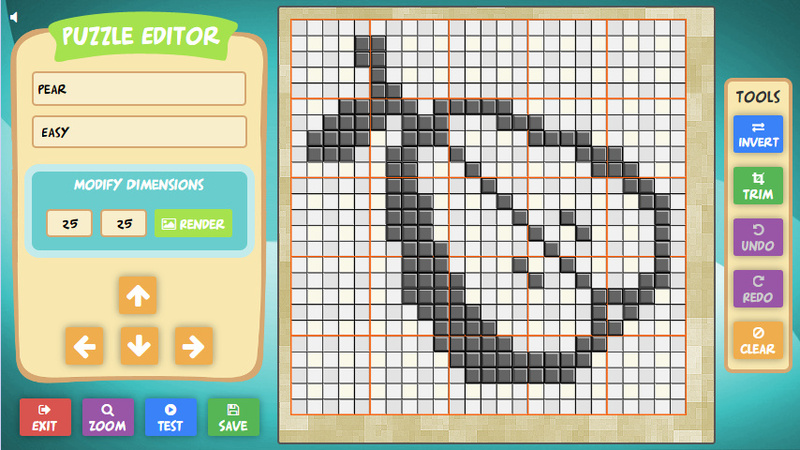 Hoping for a few tweaks with the button update (like analog panning in zoom and hint row/column frozen and docked while zoomed-in so you can always see them) but all in all this is better and far more robust than the Zelda/Pokemon Picross. Of course I like those too- and they're very well polished.